It’s Fall Festival Weekend … time to celebrate all things fall! 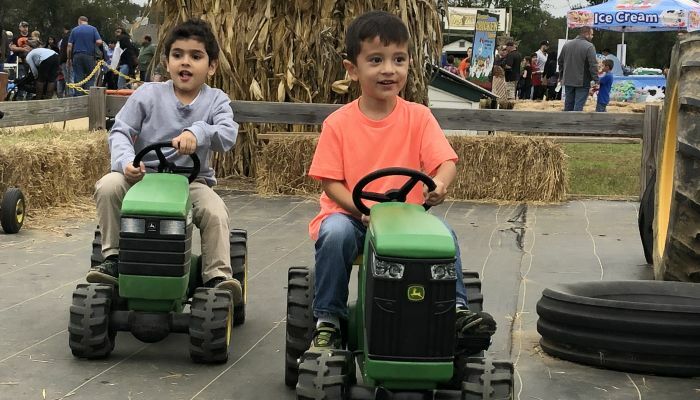 From apples to pumpkins, & all things in between … VonThun Farms is THE place to be this fall. Also available are our 35+ activities and attractions, pumpkin picking, vendors, and food. Come early and enjoy the fun! Festival weekends are lots of family fun!! Our one price admission lets you to stay longer, play harder, spend less & make more memories together as a family! As always, admission includes unlimited access to our attractions & activities – visit them throughout the day as many times as you would like.